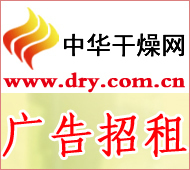 China Drying News On November 24th, the Shanghai Plastics Industry Association and the Shanghai Chemical Building Materials Industry Association co-sponsored a special seminar on application of specialty carbon black masterbatches in polyethylene pressure pipes and engineering plastics in Wujiang, Jiangsu Province. More than 20 petrochemical companies and PEs in China Representatives of pressure pipe manufacturers. According to Suzhou Guojia Polymer Technology Co., Ltd., the company's independently developed high-performance carbon black masterbatch has achieved large-scale production, and its GS9790 masterbatch has high pressure resistance, aging resistance, carbon black dispersibility, and chemical purity. Processability and other aspects reach the same advanced level in foreign countries and is the first in China. At present, the product has been provided with supporting facilities for Shanghai Petrochemical Company's PE100 compounding production line.